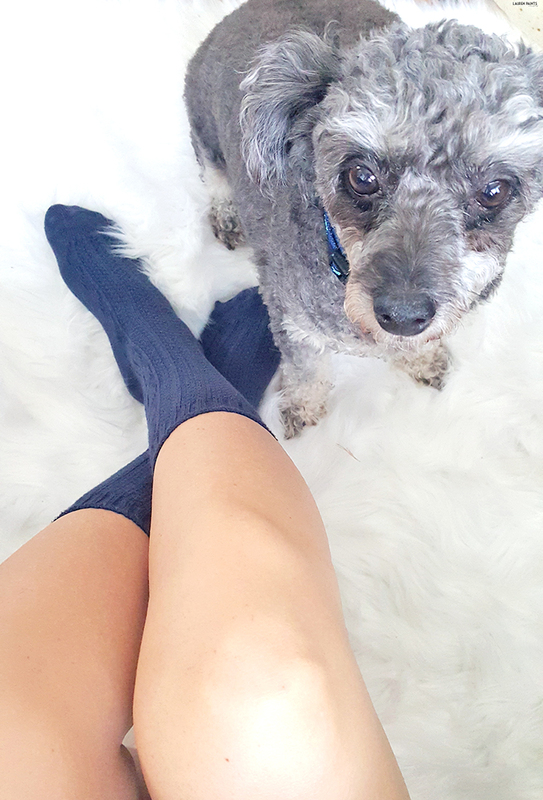 No Nonsense tights have always been a brand I trust, with such a versatile line of products that keep me feeling fancy even in the most futile of weather situations. 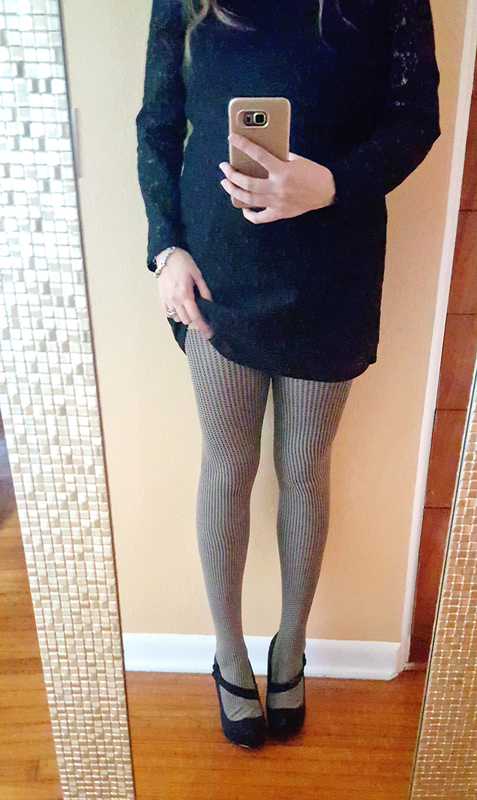 I love being able to grab a pair of tights and still rock my favorite dress during the winter months! So when I saw their winter collection, I knew I had to invest in some new pairs of comfortable and cute leggings, boot socks, and tights! Please forgive the mirror pictures, but I'm so excited to share my winterized looks with you, I had to take some selfies... I'm sure most fashionistas out there can relate! With pairs of leggings in black with a leather stripe down the side and cheetah print, I'm obviously super excited to rock out both looks. 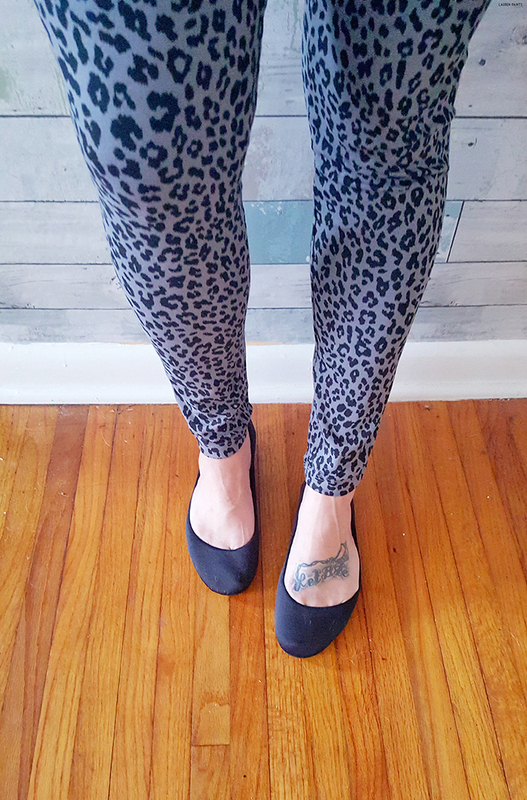 The comfort level of these leggings is a bit dreamy and the look is so chic! 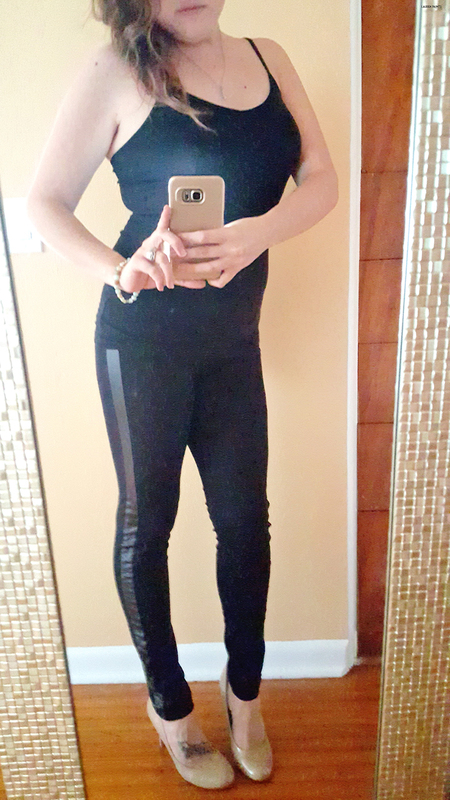 Paired with a tunic top, both pairs of leggings are something I see myself rocking out all winter long! Next on the list of fun fashion apparel, I must add these super cool tights. With a fun little print and the perfect little lace dress, this outfit turned out royally. I love how easy it is to bring all of my favorite dresses out from the summer months with a cute pair of tights and a warm jacket! Do you have a dress you miss wearing from this summer? 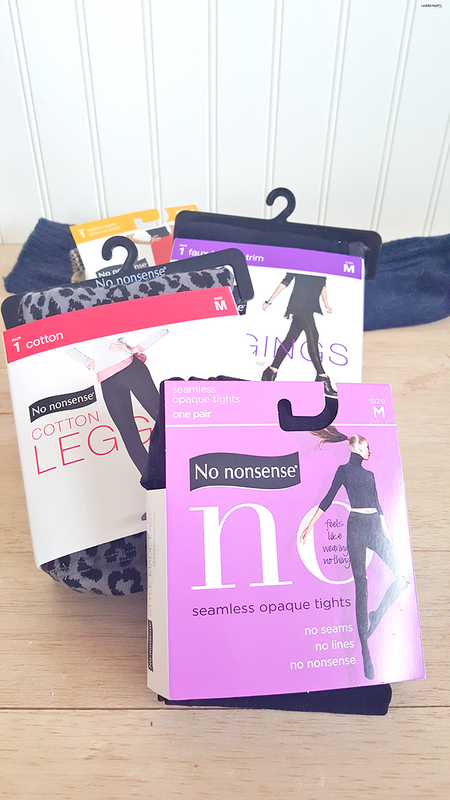 Check out No Nonsense, I bet they have the perfect pair of tights to elevate your look for winter weather! Another reason I love No Nonsense is their socks! With bold patterns and chunky knits, I'm a huge fan of the comfort these socks offered - especially when styled with a nice pair of boots & some comfy jeans or a cute little skirt and flats! 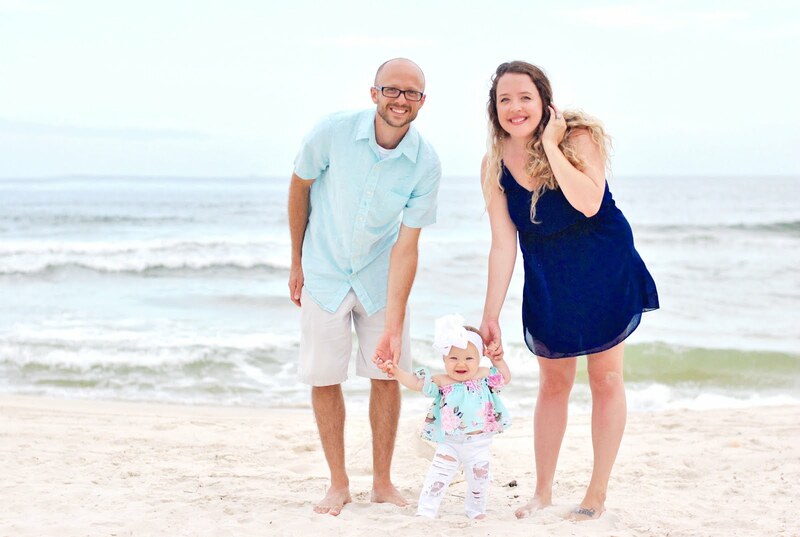 It's always fun to winterize my wardrobe, but this year No Nonsense made it easy!